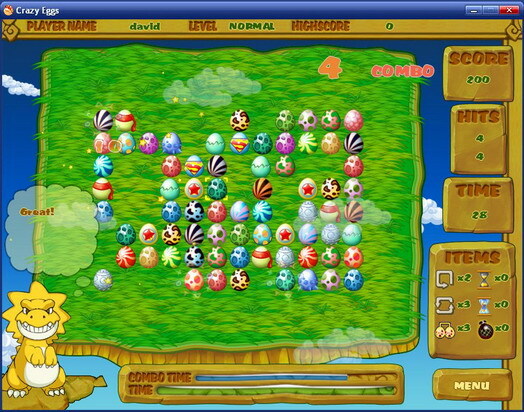 Crazy Eggs You can play this game together with your family. O Crazy Eggs is a puzzle game that fun for your whole family.Start your adventure on the floating Dinosaur Island where you will help a tyrannosaurus collect lost eggs.You can play this game together with your family. See above information and user's reviews about Crazy Eggs You can play this game together with your family.